Call Today for Service on Generators! Do you need service for your furnaces, generators and air conditioning? Contact Vastola Heating & Cooling. Our company has been in the HVAC business for Buffalo, NY since 1947. Since we first opened our doors for business, we have always been dedicated to helping our customers feel comfortable in their own home. In 1997, Vastola became the residential division of MJ Mechanical Services, Buffalo, NY and WNY's premier commercial contractor. Vastola has the resources and expertise to provide the Buffalo, NY area with the best value in residential heating and air conditioning. Give us a call today! At Vastola Heating & Cooling, we offer our customers a number of services that can be performed by our expert technicians. In addition to our quality service and installation of systems and units at affordable prices, Vastola Heating & Cooling also offers 24-hour emergency service and preventive maintenance programs. We can provide these services partly thanks to our dedicated and knowledgeable engineering team that spends time researching the equipment, so they can recommend only the most efficient and cost effective units on the market. Our technicians are top experts in their field, providing service and installation on humidifiers, high efficiency filters, furnaces, programmable thermostats, and more as well as offering customizable ductwork straight from our state-of-the-art sheet metal shop. 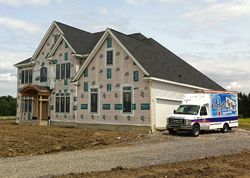 80% of the HVAC systems that are installed by Vastola Heating & Cooling are designed in-house. We have experienced designers who have spent time in the field and CAD operators who expertly put ideas to blue print. Our CAD department also works with our sheet metal shop to design and fabricate custom ductwork to fit every project. At Vastola, we can design a heating system, air conditioning system and ventilation system to give you total comfort in your home. Whether you are looking for simple furnaces, or radiant floor heat with fresh air heat exchangers and a whole house control system, we will make it happen for you. We also carry and work on generators. 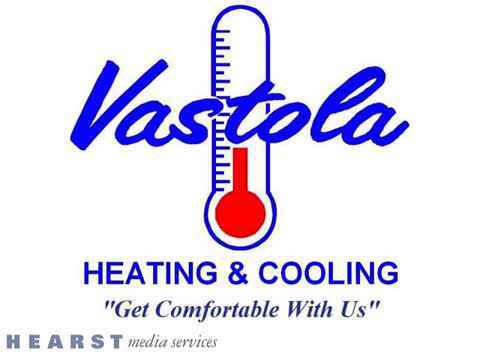 Vastola Heating & Cooling has been installing residential heating and air conditioning systems for over fifty years. We have several experienced crews installing equipment all over Western New York, who will be more than happy to help you with your air conditioning and heating needs. We can install a furnace or air conditioner in just one day and in most cases, the job will be scheduled within a week of order! Vastola Heating & Cooling is the residential division of MJ Mechanical Services. MJ is the premier commercial and industrial heating, ventilating, air conditioning and refrigeration contractor in Western New York. At our full service residential heating and air conditioning company, our dedicated team is well experienced in design installation and 24 hour emergency service. 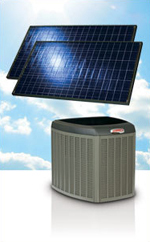 We work with several equipment manufacturers and we're a premiere dealer for Carrier and Lennox. Our installation department installs all types and brands of equipment, as well as comfort accessories. These include thermostats, air cleaners, heat exchangers, and humidifiers. For help with your furnaces, generators and more, give us a call today!